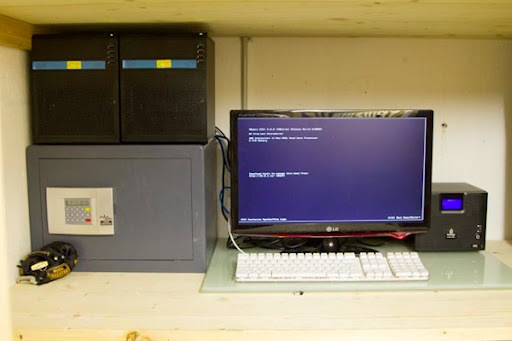 Having recently finished building my new home lab I wanted to put the second server to good use by installing OpenStack (the first is running VMware ESXi 5.0 with Windows 7, Windows 8, Windows 8 Server and Ubuntu 12.04 LTS virtual machines). I figured many of you would benefit from a detailed walkthrough so here it is (without warranty, liability, support, etc). The two black boxes on the left are HP Proliant MicroServer N36L’s with modest AMD Athlon(tm) II Neo 1.3GHz dual-core processors and 8GB RAM and the one on the right is an iomega ix4-200d NAS box providing 8TB of networked storage (including over iSCSI for ESXi should I run low on direct attached storage). There’s a 5 port gigabit switch stringing it all together and a 500Mbps CPL device connecting it back up the house. You should be able to set all this up inside 2 grand. Before you try to work out where I live, the safe is empty as I don’t trust electronic locks. The first thing it will do is ask you for passwords for MySQL, Rabbit, a SERVICE_TOKEN and SERVICE_PASSWORD and finally a password for Horizon & Keystone. I used the (excellent) 1Password to generate passwords like “sEdvEuHNNeA7mYJ8Cjou” (the script doesn’t like special characters) and stored them in a secure note. The script will then go and download dozens of dependencies, which are conveniently packaged by Ubuntu and/or the upstream Debian distribution, run setup.py for a few python packages, clone some repositories, etc. While you wait you may as well go read the script to understand what’s going on. At this point the script failed because /opt/stack/nova didn’t exist. I filed bug 995078 but the script succeeded when I ran it for a second time — looks like it may have been a glitch with GitHub. stack.sh completed in 431 seconds. 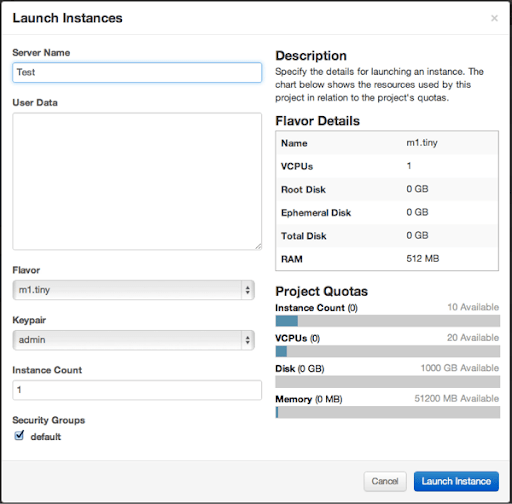 That will drop you into the Admin section of the OpenStack Desktop (Horizon) where you can get an overview and administer instances, services, flavours, images, projects, users and quotas. 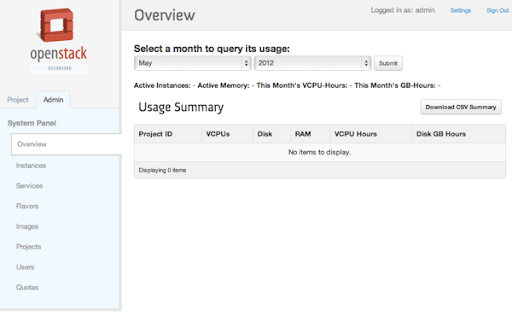 You can also download OpenStack and EC2 credentials from the “Settings” pages. The key pair will be created and downloaded as a .pem file (e.g. admin.pem). While you’re at it you may as well grab your OpenStack Credentials which come in the form of an rc script (openrc.sh) only. 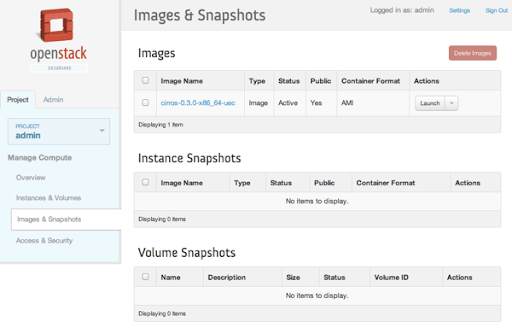 It too sets environment variables which can be seen by tools running under that shell. # With Keystone you pass the keystone password. 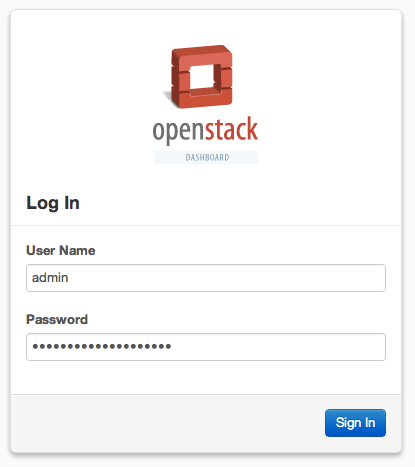 #echo "Please enter your OpenStack Password: "
That’s all for today — I hope you find the process as straightforward as I did and if you do follow these instructions then please leave a comment below (especially if you have any tips or solutions to problems you run into along the way). You could of course use a commercial service like AlwaysVPN in which case you typically pay ($5-10) per month or (~$1) per gigabyte, but many will prefer to run their own service. FWIW AlywaysVPN has worked very well for me but it’s time to move on. First thing’s first you’ll want to find yourself a remote Linux server, and the easiest way to do so is to rent a virtual private server (VPS) from one of a myriad providers. No point spending more than 10 bucks a month on it as you don’t need much in the way of resources (only bandwidth). Check out lowendbox.com for VPS deals under $7/month or just run with a BurstNET VPS starting at $5.95/month for a very reasonable resource allocation (including a terabyte of bandwidth!). Once you’ve placed your order and passed their fraud detection systems (which includes an automated callback on the number you supply) you’ll have to wait 12-24 hours for activation, upon which you’ll receive an email with details for accessing your vePortal control panel as well as the VPS itself (via SSH). You’ll get 2 IP addresses and I dedicated the second to both inbound and outbound traffic for VPS clients (which live on a 10.x RFC1918 subnet and access the Internet via SNAT). If you didn’t already do so when signing up then choose a sensible OS in your control panel (“OS Reload”) like Ubuntu 8.04 – a Long Term Support release which means you’ll be getting security fixes for years to come – or better yet, 10.4 if it’s been released by the time you read this (it’s the next LTS release). Do an “apt-get install unattended-upgrades” and you ought to be fairly safe until 2015. You’re also going to need your TUN/TAP device(s) enabled which involves another trip to the control panel (“Enable Tun/Tap”) and/or a helpdesk ticket (http://support.burst.net/). If /dev/net/tun doesn’t exist then you can create it with “mknod /dev/net/tun c 10 200”. To install OpenVPN it’s just a case of doing “apt-get install openvpn”… you could also download a free 2-user version of OpenVPN-AS from http://openvpn.net/ but I found it had problems trying to load netfilter modules that were already loaded so YMMV. If you want support or > 2 users you’ll be looking at a very reasonable $5/user – you’re on your own with the free/open source version but there’s no such limitations either. It’ll ask you a bunch of superflous information like your country, state, city, organisation, etc. but I just filled these out with ‘.’ (blank rather than the defaults) – mostly so as not to give away information unnecessarily to anyone who asks. The only field that matters is the Common Name which you probably want to leave as ‘server’, ‘client1’ (or some other username like ‘samj’), etc. When you’re done here you’ll want to “cp keys/* /etc/openvpn” so OpenVPN can see it. local specifies which IP to bind to – I used the second (of two) that BurstNET had allocated to my VPS so as to keep the first for other servers, but you could just as easily use the first and then put clients behind the second, which would appear to be completely “clean”. We’re using “tun” (tunneling/routing) rather than “tap” (ethernet briding) because BurstNET use venet interfaces which lack MAC addresses rather than veth. Wasn’t able to get bridging up and running, as originally intended. There are various hardening options but to keep it simple I just run as nobody:nogroup and use tls-auth (having generated the optional ta.key with “openvpn –genkey –secret ta.key” above). Pushing Google Public DNS addresses to clients as they won’t be able to use their local resolver addresses once connected. Also telling them to route all traffic over the VPN (which would otherwise only intercept traffic for a remote network). 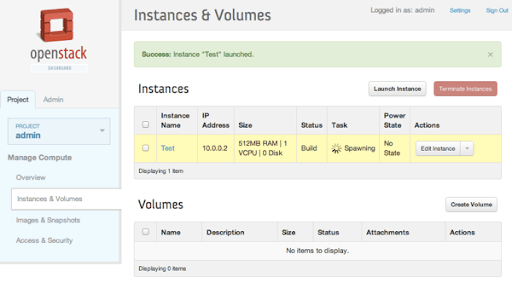 Configured separate log files and subnets (10.8.0.0/24 and 10.9.0.0/24) for the “faster” and “compatible” instances. Next you’ll want to copy over client.conf from /usr/share/doc/openvpn/examples/sample-config-files (but set ‘AUTOSTART=”compatible faster”‘ in /etc/default/openvpn so it’s ignored by the init scripts). You’re now almost ready for the smoke test (and indeed should be able to connect) but you’ll end up on a 10.x subnet and therefore unable to communicate with anyone. The fix is “iptables -t nat -A POSTROUTING -s 10.8.0.0/255.255.255.0 -j SNAT --to-source 173.212.x.x” (where the source IP is one of those allocated to you). You may need to enable UFW (“ufw enable”) and if you lose access to your server you can always disable UFW (“ufw disable”) using the rudimentary “Console” function of vePortal. When Tunnelblick’s running I have a little black tunnel symbol in the top right corner of my screen from which I can connect & disconnect as necessary. I think that’s about it – hopefully there’s nothing critical I’ve missed but feel free to follow up in the comments if you’ve anything to add. I’m now happily streaming from Hulu and Fox in the US, downloading Amazon MP3s (using my US credit card), and have a reasonable level of anonymity. If I was in Australia I’d have little to fear from censorship (and there’s virtually nothing they can do to stop me) and as my machine has a private IP I’m effectively firewalled. I’ve also noticed that ufw may need to be manually started with a ‘ufw enable’. Hope that saves you some time diagnosing problems! +chown -R $USER:`id -gn` "$2/SSHKeychain.app"
Update: On advice from Dave Girouard (VP, Google Enterprise) we’ve changed the name to ‘On in 60 seconds’ from the somewhat less enthralling ‘Setting up Google Apps’. Update: Thanks for the amazing response – 20,000 views! Let’s hope Google Apps is as popular as its video! Update: The music in the video was that of Michael Johns, now one of the favourites in American Idol! So you’ve followed my instructions for updating config.guess for Interix 5.2 (the version shipping with Windows 2003 Server R2) and now you want to compile something. Interix ships with C Shell (csh) and Korn Shell (ksh) but lacks the Bourne Again Shell (bash) – the shell most Linux users will be familiar with, so why not start there? From Start->Programs->Subsystem for UNIX-based Applications start either ‘Korn Shell’ or ‘C Shell’. You’ll end up in ‘/dev/fs/C/Documents and Settings/’ (this is your home directory, ‘~’) and the root is ‘%SystemRoot%\SUA’. Download bash-3.0 and extract it somewhere sensible (like /usr/src). You’ll need to ‘gunzip bash-3.0.tar.gz’ first and then do ‘tar xf bash-3.0.tar’ as it’s not gtar so it doesn’t understand ‘z’ (gzip) and ‘j’ (bzip2) options. Change to the ‘bash-3.0’ directory and ‘./configure –prefix=/usr/local/bash-3.0’, then ‘make’ and ‘make install’. Now it’s just a case of creating a link to ‘%SystemRoot%\posix.exe /u /c /usr/local/bash-3.0/bin/bash -l’ in the start menu. When you click on this link you’ll end up with a window that looks and behaves like a command window, only with a red/yellow/blue logo. You may get errors like ‘error retrieving current directory: getcwd: cannot access parent directories: Undefined error: 0’ – I suspect these are due to permissions problems, or issues with spaces in paths. I’d be interested if someone has a better explanation, especially if it came with a fix. The soon-to-be-released Windows 2003 Server R2 includes features that were previously shipped as Services for Unix (SFU) – perhaps the most interesting of which is Subsystem for UNIX-based Applications (SUA). At the time of writing, if you want to see what R2 is all about you’ll need to download the Windows Server 2003 R2 Release Candidate 1 (RC1) Software, which can only be installed on a trial version of Windows 2003 Server (available as a download with R2). After you’ve installed the ‘Subsystem for UNIX-based Applications’ Windows component (Add/Remove Programs applet) you will need to download and install 200Mb or so of ‘Utilities and SDK for UNIX-based Applications’. See Installing and Using Utilities and SDK for UNIX-based Applications. Be sure to do a custom install as the default doesn’t install the GNU utilities (among other things).